Add calendar events when a work order is created and assigned to you! Scheduling and reminders is very core to UpKeep and the daily needs of our customers. We built the UpKeep and Google Calendar exactly for this reason. If you've ever forgotten about a critical work order because it wasn't on your calendar, this integration can help. There are two main ways that the UpKeep and Google Calendar integrations work! Create a new google calendar event every time a new work order is assigned to you! After you've turned it on, we will watch for any new UpKeep work orders, automatically creating a Google Calendar event for each one so your team can stay organized and on time. Create a new work order when a new google calendar event is added! 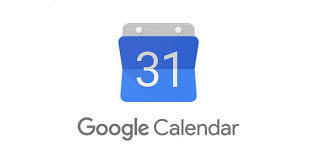 Interested in setting up this integration with Google Calendar? This integration is only available in our business plus and enterprise plans. Contact your customer success manager to get help setting up these integrations! If you're interested in upgrading your plan -- shoot us an email at info@onupkeep.com and we'll help you get set up!